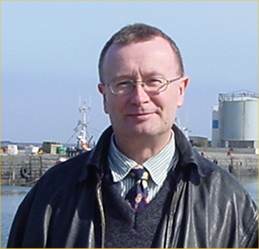 I am 53 years of age, live in Wick, am married with a daughter and three stepsons, and have worked as development officer for Caithness Voluntary Group since 1995. I am standing as a candidate for the Wick ward of the Highland Council for a number of reasons. I wish to focus the energies of the Council on supporting developments that will create jobs, on developments that will improve services and facilities, and to have the Council work with the police to reduce crime in Wick. I want to see Caithness get more support from the Highland Council. Since the Highland Council came into being Council tax and Council House rents have massively increased in Caithness; we have to pay the same charges as in Inverness – but do we get the same quality of services and facilities? I believe the political will has been lacking to develop facilities in Caithness such as an indoor sports centre or an arts centre while our taxes are supporting massive running deficits in the Aquadome and Eden Court for the residents of Inverness. Councillors in Caithness have to demand a fair deal from the Highland Council. The discretionary fund formula that the Council operates actually gives more money to Sutherland than to Caithness though we have twice the population. Apparently there is more need for Council services to the moors and mountain tops than to the people of Caithness. The people of Caithness did not want this Highland Council – now they are paying for it we must have Councillors who will demand that the Council listens to our people and makes a genuine effort to improve the well-being of our community. Between 1995 and 1997 when we lost our District Council, Highlands and Islands Enterprise figures show there was a net loss in Caithness of over 250 public service jobs. The Council needs to take steps to ensure local and national government jobs come back to Wick. I have 18 years experience working for a council, have been Vice-chair of the Scottish Association of Citizens Advice Bureaux and am currently on the national committee of Councils for Voluntary Service Scotland. I believe I have the experience and ability to offer a real service to the people of Wick. I am standing as a candidate for the Scottish National Party; this party is committed to decentralisation whereas the Labour/LibDem pact which has been running the Scottish Executive is committed to centralisation and rationalisation which ride roughshod over the needs of rural areas. What do we get back from the state which asks us to contribute to “local” agencies based over 100 miles away? The people of Wick have an opportunity through their votes to tell the Government and the Council that the balance has shifted too far toward inequity.